When looking for vital records, such as birth, death or marriage certificates the best place to start is the Franklin County Clerk. It is the best place to find older vital records. You can contact the County Clerk's Office to find out the requirements needed to have a vital records request processed. Divorce records are kept with the Franklin County Circuit Court Clerk. For vital records from 1916 onward you can contact the Illinois Department of Health Division of Vital Records. Due to the large volume of phone calls and requests the Department receives, you should allow 30 days before inquiring about the status of your request. 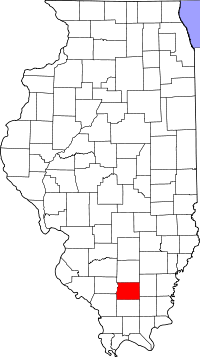 The Illinois State archives is also a good place to search for vital records concerning Franklin County.